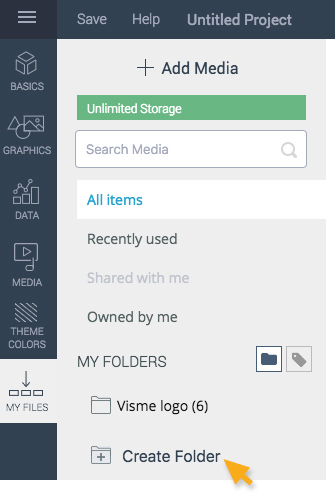 Visme allows you to fully manage your images and media assets using its Media Library. 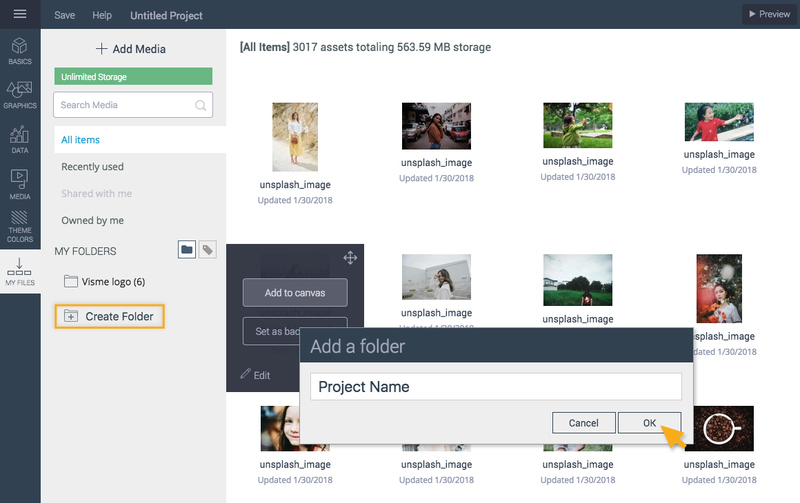 The Media Manager is a powerful widget within the Visme editor and it allows you to upload images, rename, edit, delete and also replace images. 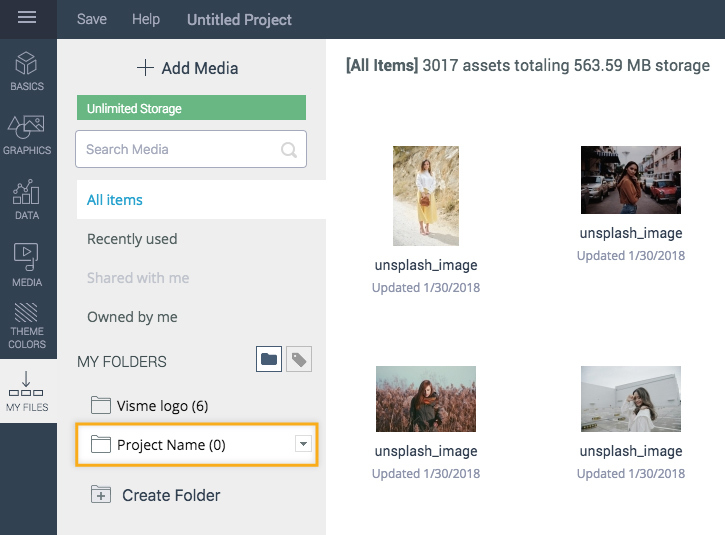 As you add more assets to your various projects, they will be automatically be added to the My Files. 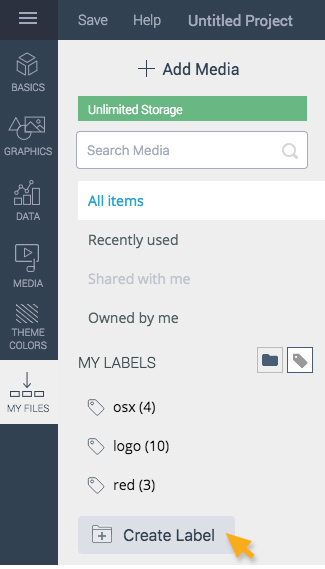 By default, they will be shown in the parent directory of Media Manager so over time it makes sense to organized your assets using Folders and Labels. 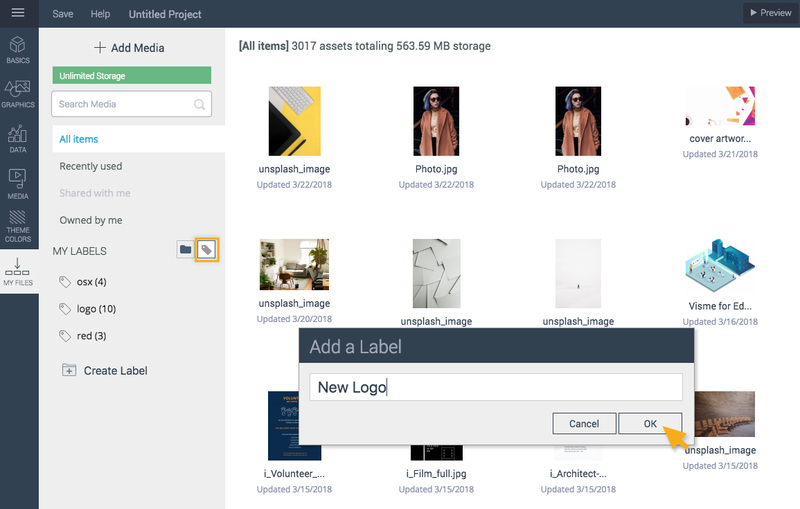 Below are the simple steps on how to create and organize project assets into folders and Labels in the Media Manager. Select Graphics from the left panel. Click on the Photos tab and select My Library. It will direct you to My Files from the left panel. You then click Create Folder. You can name the folder based on your own naming convention. Click OK once you are done. By default, the folder doesn’t contain any assets. 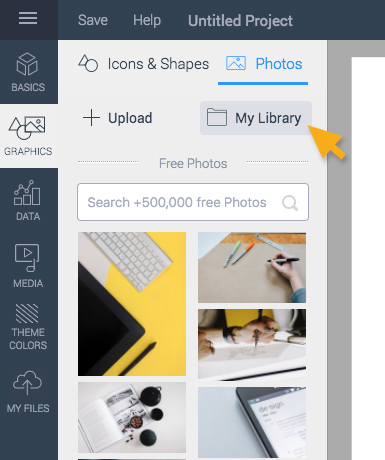 You can add images or even documents (Pdf files) in the newly created folder by selecting the folder itself and click Add Media. 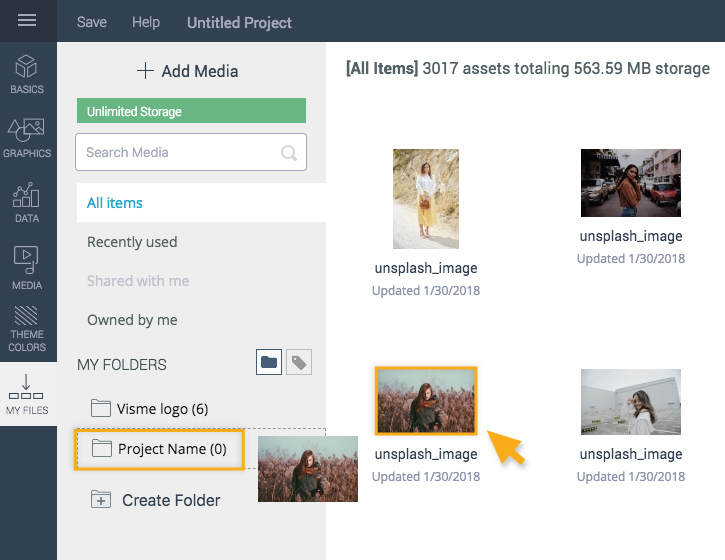 You can also go to All Items which is the default location of Media Manager and simply drag-and-drop files to the desired folder the same way you can organize projects in your dashboard. You can also create Labels for your assets. Labels are similar to Folders, but in case of Labels, you don’t physically place projects into folders. As a result, you can apply multiple labels to an asset. Select Labels icon besides Folder icon. 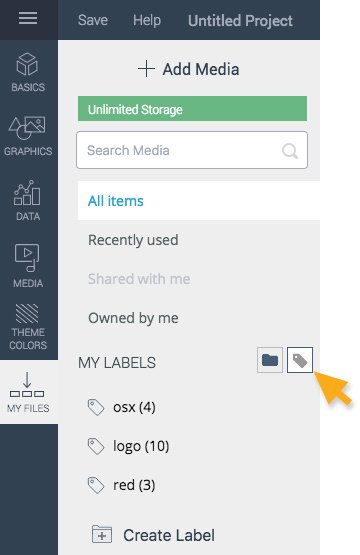 You can create label by clicking on the + Create Label. Name the label and click OK button. For example an image can be assigned to a Logo and a Branding label. Applying labels also allows you to easily search and locate assets (via the top left search bar). Or by clicking on Edit at the side of the thumbnail like below. Navigate to Labels tab and select the Label you want the image to belong to. Click close X button once you are done. – You need to close the Labels window and open it again to see the image in its proper label. – To add images or pdf files to the newly created folder, check this link.